LANDx | Growth Driven Design | H&C Inc.
LANDx Developments is involved in cutting edge of land development projects in Niagara and beyond, working in a development-consulting to guide their clients through every step of the investment and development process. 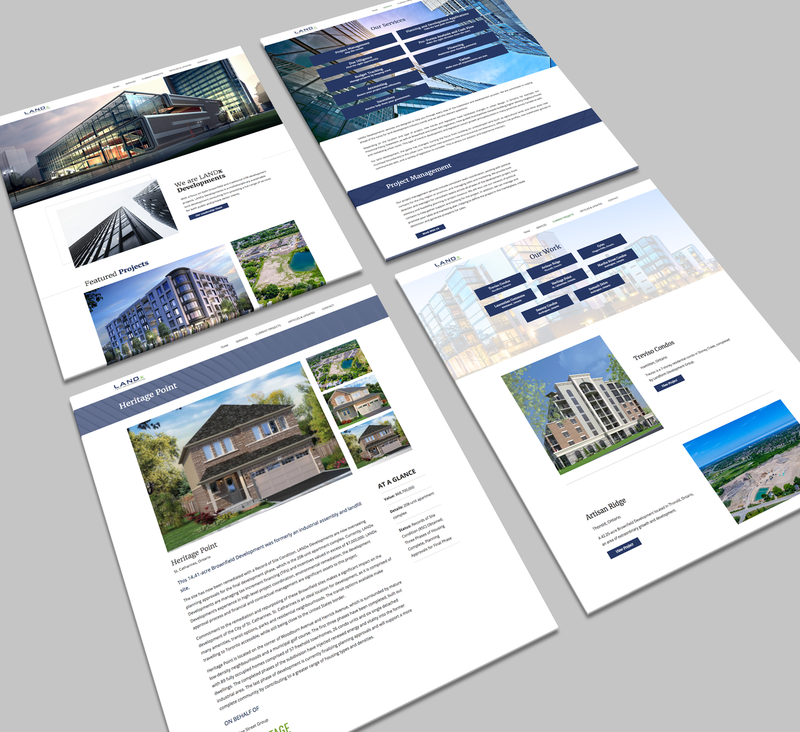 LANDx Developments came to H&C Inc. to refresh their dated online presence, looking to build a modern online portfolio to showcase their work in a way that can scale and grow at the pace of their business. H&C Inc. designed and developed a modern and clean website built on WordPress. 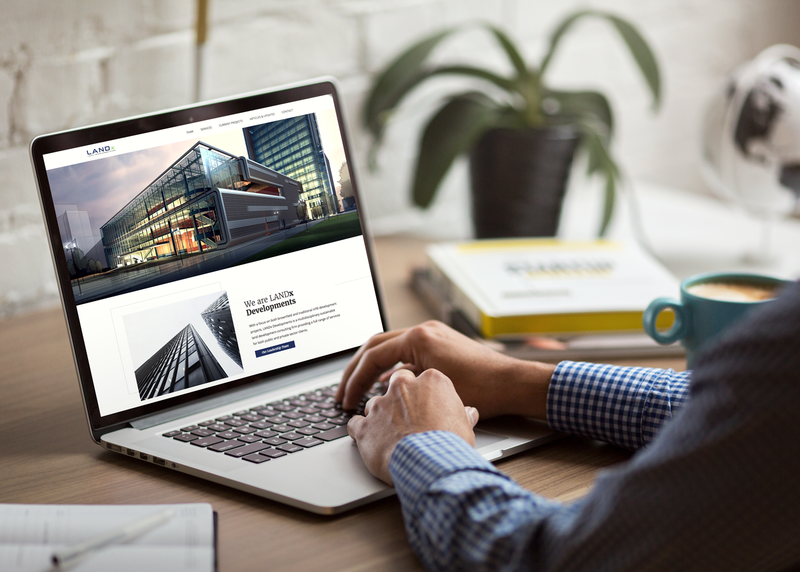 The modern website matches the innovative nature of the company and works to perfectly highlight the projects that LANDx Developments have been involved in. Designed with scalability and growth in mind, the online portfolio easily grows at the pace of the business. Each project tells the development story through dynamic visuals and well optimized content. The fully optimized website began driving organic traffic quickly, with 55% of all website traffic resulting from organic search within the first week of launch.